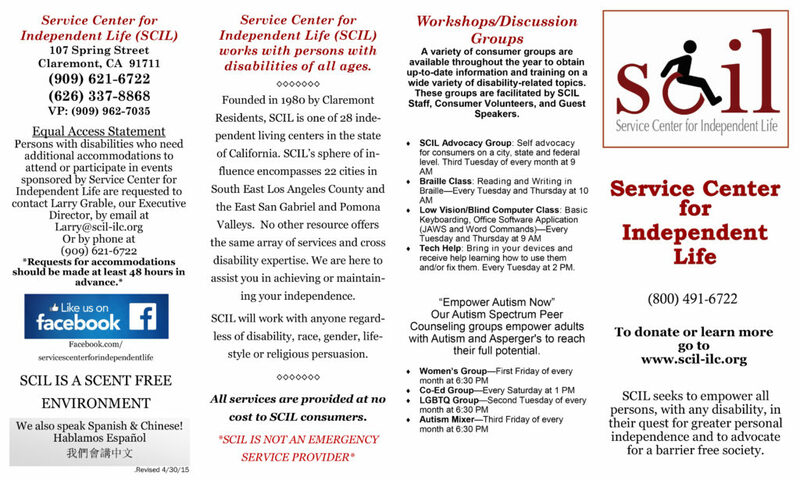 SCIL will work with anyone regardless of disability, race, gender, life-style or religious persuasion. All services are provided at no cost to SCIL consumers. 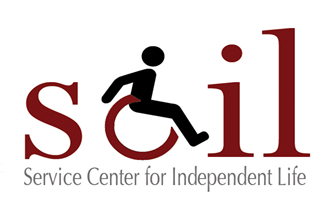 SCIL is available to assist you in applying for benefits, including Social Security. We support each other to succeed and thrive in life. We are a team of Individuals with disabilities who are living independently and are integrated into our community with a desire to help others do the same. 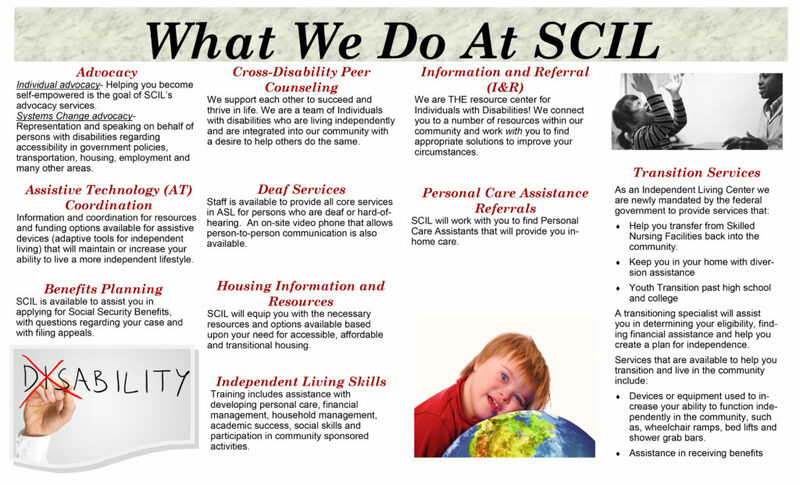 SCIL will equip you with the necessary resources and options available based upon your need for accessible, affordable and transitional housing. Training includes assistance with developing personal care, financial management, household management, academic success, social skills and participation in community sponsored activities. SCIL will work with you to find Personal Care Assistants that will provide you in-home care.